In ongoing saga of Jesse Watters' unwelcome visit to Chinatown, the now-infamous, craptastically racist Fox News segment has inspired some epic clap backs. In addition to Ronny Chieng's ferocious segment on The Daily Show, we've now got this awesome woman-on-the-street piece featuring our homegirl Jenny Yang. 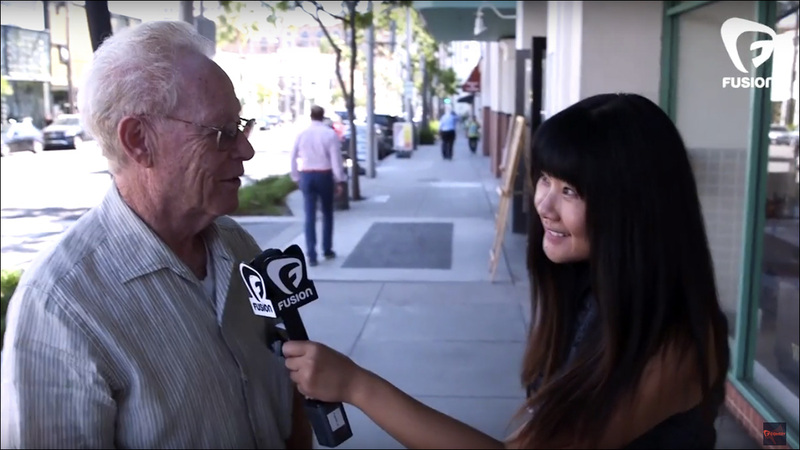 Since Bill O'Reilly sent Watters to Chinatown to have some "gentle fun" (also known as racist fuckery) with Chinese Americans, Fusion Comedy sent Jenny to Beverly Hills to have some "gentle fun" with white people. One of Jenny Yang's comedic specialties is messing with white people. It's an art form, and she's exceptional at it. Just plop her down in the middle of Beverly Hills and see her go to work. It's a thing of beauty.